The livery includes turnout every day, either in individual paddock or with other ponies. Prices are €350/month incl. 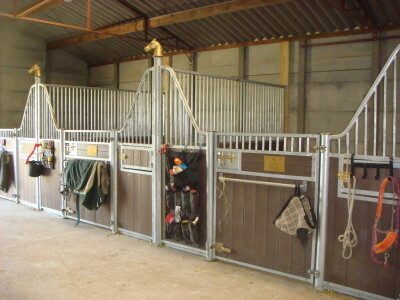 20%** tax for a pony (<150cm), €375/month incl. 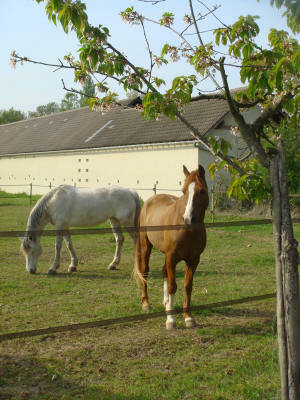 20%** tax for a horse (<165cm) and €400/month incl. 20%** tax for a large horse (> 165cm). These prices include wood pellet bedding on rubber matting. Feed and hay is given twice daily . We have a video surveillance system, which also allows our clients to view their horses online via the internet or a smart phone. Small pony livery on request. **please note: 20% VAT is applicable since 1st January 2014.